Maison Rose is a luxury villa and two apartments offering flexible accomodation for any sized group from 2 people up to 21 people when rented in conjunction. Set in its own garden, it occupies a privileged, south facing position, 2 minutes from the Village Square. The building is typically proven�al with terracotta floors and whitewashed walls and in places even a renaissance ceiling. Accommodation is generous and well equipped. Each property has a modern kitchen and bathrooms; appliances include washing machines, dishwashers, microwaves, large fridge/freezers, telephones, hi-fi, WiFi, satellite television, BBQ, sun-loungers etc. All bed linen, towels and towelling robes are included. Cots and high chairs are available on request. 5 bedrooms all with en-suite bathrooms plus guest cloakroom. Large living room with French dooors leading to terrace and swimming pool. 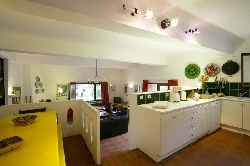 Magnificent galleried kitchen and dining area. 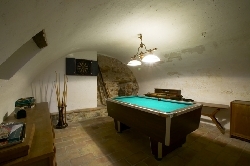 Games room with pool table, dartboard. Open fireplace and plenty of books and games. 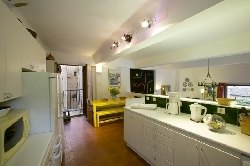 Separate secluded terrace to one double bedroom. Two double bedrooms, two bathrooms (one en-suite). 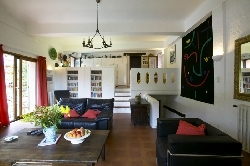 Large living room, leading to huge private sun terrace, spacious kitchen/dining room, guest cloakroom. Double master bedroom with en-suite bathroom, large open plan kitchen/living area with double sofa bed leading to huge private sun terrace. Maison Rose is situated in the unspoilt hilltop village of Cipieres overlooking the spectacular Gorges du Loup, only 45mins from Nice airport, Cannes and the beaches of the Cote d'Azur and only 25mins from the ski resort at Greolieres Les Neiges. An English speaking caretaker is on hand to assist with any queries.